Forty-one percent, or approximately 19.5 million Americans, age 65 and older are single, according to the most recent data available from the U.S. Census Bureau.1 This means a significant number of people are entering or preparing for retirement with a relationship status of single, divorced or widowed. If you are a part of this group – whether it is your choice or the result of unexpected circumstances – read on for tips on how to transition smoothly into retirement. Determine how you want to spend your retirement days. Volunteering, traveling, visiting family, and working part-time are common choices for retirees. Decide how you’d like to handle health care expenses, including your possible need for long-term care. Depending on your situation, insurance coverage (including Medicare, Medicaid and long-term care insurance), health savings accounts and investment savings may be part of your solution. Pick a trusted family member or friend to serve as your financial and health care proxy. An attorney can help you assign someone to make decisions for you in the event you can no longer act on your own. Review and make any necessary adjustments to your estate plans and beneficiaries on key accounts to ensure they align with your wishes. If you were previously married, maintaining a residence is an important consideration. Is there a mortgage on your current home? If so, think about whether you’d like to pay it off before or during retirement. Consider your tax strategy, cash flow needs today and down the road, and whether you intend to downsize or move in retirement as you make your decision. If you receive alimony payments, be aware that the amount you receive may be modified — or even end — once your ex-spouse reaches retirement age. Or, if you make alimony payments, make sure you are prepared to continue those payments in retirement. The terms were likely spelled out in your divorce settlement. You may also consider claiming Social Security benefits based on the earnings of your ex-spouse. You can do so as early as age 62. However, the longer you delay claiming benefits (up to your full retirement age), the larger your monthly benefit will be. Your claim has no impact on the amount of your ex-spouse’s Social Security benefits. Retiring single is likely different than what you envisioned during your married years, and you may still be going through an adjustment period. If you were not closely involved in managing household finances, consider enlisting help to make sure your current needs and retirement plan are in order. If you collected an insurance settlement following the passing of your spouse, focus on investing that money effectively to help generate income during your retirement. You can also claim Social Security survivor benefits if you are at least age 60. You can decide later to begin collecting benefits based on your own work record. How you decide to spend your retirement days is personal – so your retirement plan should be too. Turn to a tax professional and financial advisor for guidance on what steps to take next. 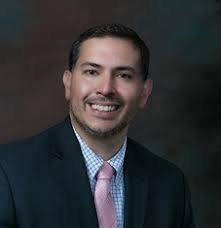 Carlos F. Arias, APMA, CRPC ®, CLTC, is a Private Wealth Advisor and Business Financial Advisor with Arias and Partners Wealth Advisors, a private wealth advisory practice of Ameriprise Financial Services, Inc. in Cranford, NJ. He specializes in fee-based financial planning and asset management strategies and has been in practice for 20 years. 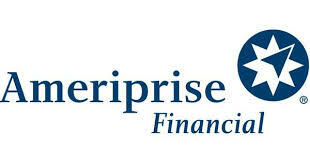 Ameriprise Financial Services, Inc., a registered investment adviser. Mistake #1 – Not naming a beneficiary on all accounts. Retirement is an important milestone that often comes after years (or decades) of careful planning. You’ve worked hard to accumulate your wealth and now want to share the fruits of your labor with your grandchildren. But what are some thoughtful ways to do so? Here are six ideas for financial gifts with long-term benefits for your grandchildren. For many of us, the new year means a fresh start and the chance to set new goals. If your resolutions are money related, here are some ways to strengthen your financial foundation in 2019.